Expressions of Lancaster was established in 1999, with current owners Linda and Jeffery Thomas taking ownership in 2001. Linda and Jeff have owned the business for over 18 years and have built a fantastic reputation. In May 2017, after having done over 35,000 piercings, Jeff retired and Stephanie Whiteway joined Linda in the business as part owner and piercing studio manager. Jeff has passed on his extensive knowledge in piercing to Steph and she is working hard to maintain the tremendous name that Jeff and Linda have created for Expressions. If you have any piercing enquiries, she is the girl to talk to. Helping Linda and Steph run the shop are Piercing Studio Supervisor Georgia, and shop assistant/piercer Grace who are always happy to help customers with any queries they have. 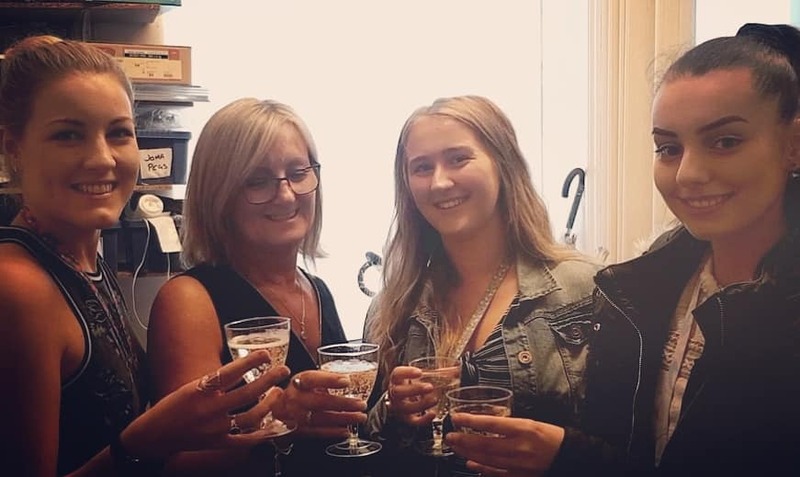 Whether you have a question about piercings, jewellery or need assistance in helping you find the perfect gift, the girls are there to help.